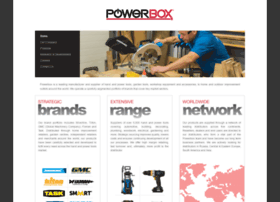 Powerbox. Manufacturer of hand and power tools, garden tools, workshop equipment and accessories. Our brand portfolio includes Silverline, Triton, GMC (Global Machinery Company), Fixman and Task.